The Faculty of Theology at the University of Copenhagen ranks highly internationally for the quality of its research. Particularly in the fields of the Old Testament/ Hebrew Bible (the Copenhagen school), the Dead Sea Scrolls, the New Testament in its Graeco-Roman context (including philosophy) and feminist Biblical studies, the Faculty is internationally recognized for its expertise. The Faculty has broad contacts with researchers worldwide, not least through its participation in The International Alliance of Research Universities (IARU). 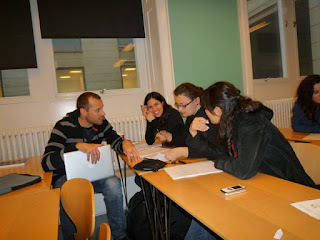 At least six students will be admitted to the programme at the University of Copenhagen in 2012.
a) A Bachelor's degree in a field of study that is relevant to the programme (e.g., theology, religious studies, classical philology, Semitic languages, ancient history etc.). The applicant must have, or anticipate getting, a Bachelor's degree from a recognized and internationally acknowledged university. d) The selection of students is furthermore based on the relevance of the Bachelor's degree in terms of field of study, as well as on the grades achieved, and on the number of courses and ECTS-points that students have gained in relevant study areas (e.g., theology, religion, ancient history, culture and language). There are no tuition fees for students from Denmark and EU/EES countries (EU and Iceland, Liechtenstein and Norway). 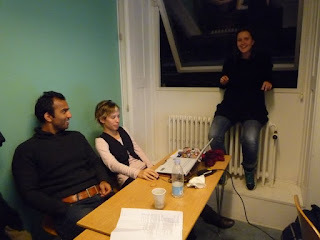 For students from non-EU/EES countries the tuition fee is in the order of DKK 60.000 per year. Application deadline is 1 March. a) A Bachelor's degree Certificate (the degree certificate may be forwarded after the closing of the application period, but it must arrive at the faculty of Theology at the University of Copenhagen by August 1 at the latest). c) Documentation for proficiency in English. d) CV and a letter of motivation. The application must include all the required documents. Incomplete or late applications cannot be processed. The application with all the required enclosures must be mailed via regular (air) mail or by an international courier service to The Faculty of Theology. E-mailed or faxed applications or documents will not be accepted. The Master Programme is offered in cooperation between the six Nordic universities of Aarhus, Bergen, Copenhagen, Helsinki, Lund and Oslo. Compact seminars are organised at all these institutions as well as in Nordic institutes in the Mediterranean area. RRE offers a truly international education with perspectives for a subsequent career in research and education as well as in governmental and private institutions, organisations and companies were the need for knowledge on religion and culture is increasingly recognised.